This post describe the creation of a Stroke Summary video. The aim of this project was to assess the attitudes of medical students towards the use of video animation in medical education. An educational tutorial was produced outlining the basic principles of stroke. This aimed to provide a summary of different aspects relating to stroke, outlined in the Bristol University curriculum. This intended to be a short, concise animation covering stroke presentation, definition and recognition, with an overview of the blood supply to the brain and the classification of stroke presentation used in clinical practice. This was followed by some key facts and a summary of different management stages. After the video animation was produced an assessment of student’s attitudes using an online questionnaire was undertaken. This consisted of ten short questions and an open text feedback for additional comments. The video was then edited with reference to feedback given by students and the results analysed. This report will outline relevant research and project work that lead to this assignment being undertaken. A description of the method followed to generate the video animation and to collect feedback on students will be outlined followed by analysis of results. This will then be discussed in relation to previous work and research. There are a number of reasons this project has been undertaken. On a personal level, I have a long-standing interest in teaching and medical education. As part of a previous project I created a series of audio tutorials in cardiovascular medicine and assessed student attitudes to audio learning. The findings of this report showed that a large number of students found these audio tutorials useful and would like more of these available to supplement their learning. One of the questions given to students at this time assessed how useful they found different types of educational material. This project showed students reporting audio tutorials more useful than previously thought, while also reporting that they were not readily available. Although a video tutorial was not provided to them at this time, feedback questions assessed attitudes to video tutorials as a learning resource. Students reported low availability and felt they would be more useful than audio tutorials. Some results from this project are shown in figure 1. Figure 1. Results from previous research by Buick (2007), showing attitudes of students towards different learning tutorials. 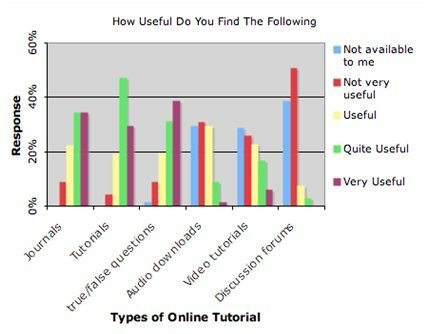 The majority of students report audio tutorials to be ‘quite useful’ or ‘very useful’. Video tutorials are thought by students to be more useful that audio tutorials, however there is a large proportion that do not have access to these learning resources. 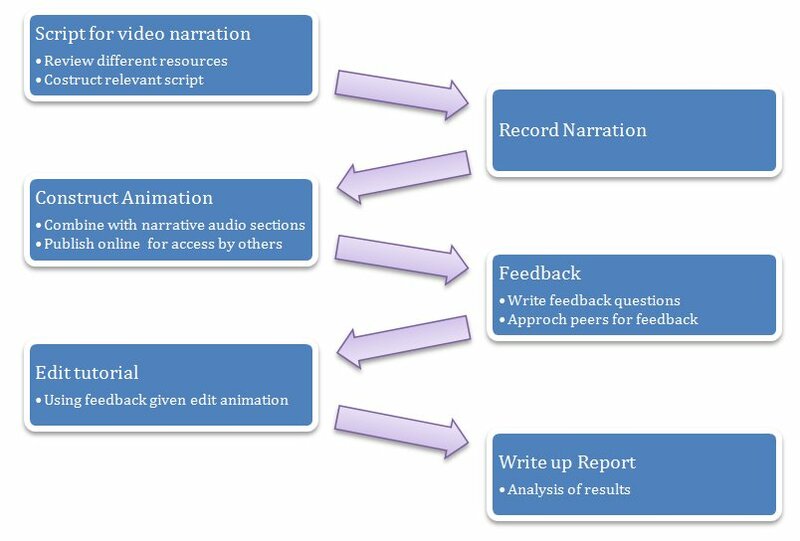 As a number of students reported an inability to access to video tutorials, it was thought that creating a video animation tutorial followed by assessing students attitudes would be a useful follow up project. If this is found to be a useful resource, other students may generate video tutorials in the future. Therefore student feedback also assessed attitudes towards authenticity, relating to who generates the tutorial and whether they find the ability to feedback a useful tool. Medical education is widely researched globally, although it is not often a consideration for those studying medicine. Those involved in teaching and educating future doctors have looked at different methods of passing on knowledge. A high quality medical education given to future healthcare professionals is important. It is widely accepted that a better knowledge results in better care for patients and education is at the centre of any healthcare system. This is reflected in the cost of educating medical students and training doctors in the UK. In the 1997 it was reported by the Department of Health that estimates of 200 million pounds would be spent per year for an increase in 1000 medical students being trained in the UK. This suggests that the cost of training a medical student is in the region of £200,0001. Medical education in the UK is split in two halves, with undergraduate and postgraduate training. The Department of Health has recently invested millions of pounds into the development of online tutorials for postgraduate training posts in a number of different specialities. Justification for is given by reducing the cost of training through the use of standardised online tutorials. This will be a more cost effective method than the standard in hospital teaching. This approach has not been undertaken for undergraduate medical education. Universities are seen as primarily responsible for undergraduate training. Many of these institutions have used the Internet to aid teaching and have produced video tutorials. However, as reflected in the previous project (Buick, 2007), resources are often limited and students do not feel they have ready access to these educational tutorials. The benefits of different types of learning resource have been researched. These include online audio downloads (Spickard et al, 2004), practice exam questions and interactive tutorials (Hudsen, 2004). Research showing the benefit of video was shown by Balslev et al (2005) comparing video and written text while teaching a patient case. Balsley et al (2005) found those who learnt using a video presentation rather than those given written text showed a significant increase in data exploration, theory evaluation and exploration. However, there is little research looking specifically at video animation for explaining conditions. Animation software is now available on personal computers and is also possible using Microsoft PowerPointTM, which is the most widely used presentation software. It is clear that recent trends show training can benefit from this type of learning resource. Generation of high quality video tutorials can help students learn while reducing the cost of training. It is for this reason that more material is likely to become available, either from funded production supported by external organisations or by the trainers and trainees themselves who have technology able to produce material such as this on their home computer. During the development of this video some ethical and legal issues arose that had to be addressed before a final video could be made. When considering what imagery would be used in the video, I wanted to include pictures of clinical signs relevant to the audio narration. However, taking images from the Internet without prior consent was not thought to be ethical and therefore clinical signs were displayed graphically through drawings and diagrams. Plagiarism and copyright were some of the legal issues surrounding the presentation of medical information. Narrated information was generated using a number of information sources, none of which were exclusively quoted. Therefore an end reference list was generated showing all supporting information sources. Images used in the animation were either self generated or taken from sources such as Wikipedia.org. This resource supplies images under a free software license such as GNU general public license2. This allows anyone to freely use and edit images while referencing the original source. To generate the video a number I had to develop a number of new skills. Unlike previous work that had been undertaken this media was generated using animation software. To use this effectively I had to research the different functions that were available. To do this I combined reading books aimed to teach beginners such as Macromedia Flash 8 for Dummies (Ellen Finkelstein and Gurdy Leete, 2006) and online sources such as www.learnflash.com . To generate voice narration, another program was used that allowed editing and splicing of audio tracks. This was then split up into a number of narrated sections and added to the animation. Stroke definition This gave a clinical definition and a lay person recognition mnemonic called FAST which is used to help members of the general public recognise stroke. Classification Students at Bristol university are asked to understand the Oxford / Bamford classification. This was covered in detail with explanations of clinical signs that may be seen and graphical representation of these. Prevalence This section covered prevalence, national impact and cost of stroke in the UK. Management In this section management was split up it to immediate management, medical management, in hospital care and some of the procedures considered for different cases. Risk factors for stroke and research into this was also written up and narrated. However at a later stage this was not included due to time constraints and video length. An audio narration was generated using software called ‘Garage Band’ which allows audio tracks to be recorded and edited. The narration was exported in 45 sections so that this could then be added to the animation at relevant points. The animation was made using Adobe Flash. This software is used for making websites and animations used for Internet adverts. It has the facility to export as a ‘flash video format’, which can then be played using a media player online. This software generates animation by allowing objects to be drawn on a stage and moved around using command lines and tools. This was used as it has the ability to animate objects and add audio narration. It also is designed for exporting animations to the Internet allowing the material to be accessed by a large number of people. A short questionnaire was generated which consisted of ten questions and placed online using a survey collection website (www.surveymonkey.com). Students were directed to the feedback questionnaire and allowed to submit this anonymously. Some feedback constructively suggested changes that could be made. The video was updated after some concern about the speed of narration and that some of the narrative sections seemed to overlap. The results of the feedback were then collected and displayed in a table. This was then added to the report and discussed with reference to research and previous project work. Students were allowed to access to the video animation through the Internet. After uploading the video an email was sent to students studying COMP2 at Bristol University. These students are required to know about aspects of stroke covered in this tutorial to pass this section of the course. The email notified them of the options to view the tutorial and how to give feedback. In total 30 students completed the feedback questionnaire and out of these 4 students provided optional written feedback. The results to the questions given were generally very positive. The majority of students showed a strong preference to video animations as a useful tool in medical education. The results are displayed in Table 1 below. TABLE 1 shows the ten question asked of the students and to what extent they agreed with each statement. Results are given in the percentage of students who chose the relevant category. "Really useful presentation!! Would be much better if someone proof read the whole thing as there are some spelling mistakes; also if the pauses between facts were longer it would be more easier to take in some facts. Overall, really nicely done!!" "Some of speech went too quickly, but good overall"
"Very clearly written with excellent use of images to match the text and commentary!" Student attitudes to this video tutorial were very positive. This was in contrast to the attitudes previously shown in the audio tutorial project (Buick, 2007) where video tutorials were not thought to be a useful resource. These results support recent developments in the generation of online video training for doctors by the Department of Health and previous research by Balsley et al (2005). Question one showed that the majority of students strongly agreed that the stroke video would be a useful resource. Questions two, three and four aimed to establish what aspects of a disease were best outlined using a video animation. Results showed that students agree or strongly agreed that defining the condition, pathophysiology and management were all well explained in this format. Interestingly, a large majority of students (70%) felt pathophysiology was best represented kinaesthetically. This may be due to the visual aspect that can be associated with pathophysiology. Disease processes are often represented using diagrams in textbooks with text explaining the disease process. Using computer technology it is possible to turn the text into audio narration and allow the user to view dynamic diagrams. In this way, students can better conceptualise the disease process, facilitating a more complete understanding of disease and its clinical manifestations. Question five aimed to highlight the benefit of visual stimulation as well as audio narration as a positive learning method. All students agreed or strongly agreed that the combination of these two aspects was beneficial. Question six showed a very strong response from students wanting access to more video tutorials, with 70% of students strongly agreeing to this statement. It is often the case that students take part in generating teaching material, and some students may be concerned that this material is inaccurate. However, many students do not think that this is a significant problem. This is reflected by the spread of student’s opinion seen in question 7, where there was no clear consensus of opinion. It may be that as students learn from a number of different resources, that any inaccuracies will be revealed and perhaps stimulate a better understanding through the process of verifying correct answers and practicing evidence based medicine. Question nine and ten show that most students value resources that allow sharing of educational material and feel they could help others learn. They would also value the option to feedback on this material. The written feedback showed positive responses from students. However there was feedback on some aspects of the video that they felt could be changed. The narration was delivered quickly with few gaps between statements to keep the tutorial short and concise, however this was thought to be distracting and made it less easy to follow. Following this feedback the narration was changed and placed back on the Internet for others to review. Further research and investigation could include the generation of a larger resource of video animations. My research has suggested that using animation to cover pathophysiology may be most beneficial. The software used to make this video also allows for the incorporation of interactive elements. The video produced in this project or other videos could have online menus, allowing users to select which part of the tutorial they wish to view rather than having to watch the whole animation, or they include interactive questions. Strengths of this project include its unique approach to medical education. There have been few animated videos produced for undergraduate medical students that use this advanced software. This software is used by professional web developers but can be used effectively by students and doctors for educational purposes to produce video animation and interactive tutorials. For these reasons, I passionately believe that this technology could be used to revolutionise the way students learn medicine. If done effectively this could provide a more cost effective and engaging learning experience. This will ultimately benefit patients and doctors alike. This material can be place online allowing remote access. This is increasingly important for medical students studying on placements who are often learning away from the university setting. Weaknesses of this project include that of the work intensity of generating animated video. It is estimated that it takes around 6 to 9 hours to produce a minute of animated video. This does not include the research and recording of narration. The total sum of time to generate material and the additional skills needed to use the software makes generation of larger numbers of videos not possible by a small community of learners such as a university. Although it was done in this case, it is difficult to edit the material after it has been created. This may mean that material will become inaccurate when new advances occur. The feedback sample collected was opportunistic and the response rate was low. These factors may bias the results as only a subsection of opinions may have been obtained. These opinions may not be representative of the population studied or generalisable to them. It was difficult obtaining a professional medical opinion about the video in the time that I was allocated. However this has been organised for a later time. During this project I was able to learn about stroke its presentation, classification, management and risk factors. I read texts, which summarised stroke and research into risk factors and management of stroke. The challenge of usefully condensing a subject into a short educational tutorial was a challenging one. I feel I improved my skills of summarising information effectively. I gained knowledge of some of the challenges of undertaking a project such as this. One of the largest challenges included how long it took to produce the animation. In the future I will be aware of these difficulties and allow for time to gather information and generate the material. I also learnt the benefit of gaining feedback and allowing for adaption to this. It took more time to respond to feedback but this resulted in a better product that other students can use. I also reflected on the impact of stroke itself. Stroke has a major impact on patients, health care and carers. Much can be done in the recognition classification and management. A better understanding benefits all areas and I have gained a better knowledge and the importance of helping others gain a good understanding of stroke. I learned how to generate a video animation for the use of teaching in medicine and combine this with audio presentation. I learned how long it can take to generate material like this and the skill of organising my time effectively to manage a project. I can use this skill in the future to produce more educational material to help teach during my medical career. I also gained skills in learning how to place material on the Internet for others to access and will also use this in the future. Previously evidence has shown the use of videos in medical education to be beneficial. It has normally been used to demonstrate clinical examination and procedures this study suggest there is a place for explanation of pathophysiology and disease summaries. However, there has been little research in to its use for graphically representing condition summaries. Computer technology now allows people to generate animation on their personal computer. It is possible that over time more students and doctors will start producing innovative visual and audio teaching material. This project indicates that this would be well received by students. Planning the Medical Workforce: Medical Workforce Standing Advisory Committee: Third Report December. 1997 Page 40. The GNU project launched in 1984. Buick (2007) Year 3 External SSC. Bristol University Medical School. Spickard A, Smithers J, Cordray D, Gigante J, Wofford J L. (2004) A randomised trial of an online lecture with and without audio; Medical Education 38 (7), 787–790. Hudson J. N., (2004) Computer-aided learning in the real world of medical education: does the quality of interaction with the computer affect student learning? Medical Education 38 (8), 887–895. 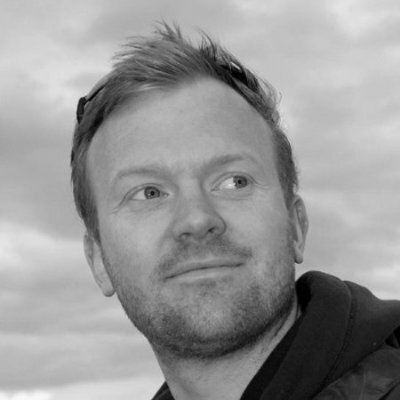 Alastair is the co-founder of Meducation. He is a doctor and keen medical educator who works in Exeter, UK.